First, you should encourage parents to carefully monitor their children when using the computer at home for class research projects. You should encourage them to check out websites first before allowing their children to visit them. Second, you can recommend sites that are free, loaded with educational information and safe for viewing. American Association of School Librarians - This portal has a list of best sites for teaching and learning. They are free, web-based sites that are user friendly and encourage a community of learners to explore and discover. National Geographic Kids – This site has lots of information about geography, science, space, animals and historical sites. Most of this information is free, but you can get subscription content as well. Children also can earn badges for finishing quizzes and projects. PBS Kids – You can find games and videos featuring some of the network’s favorite characters. 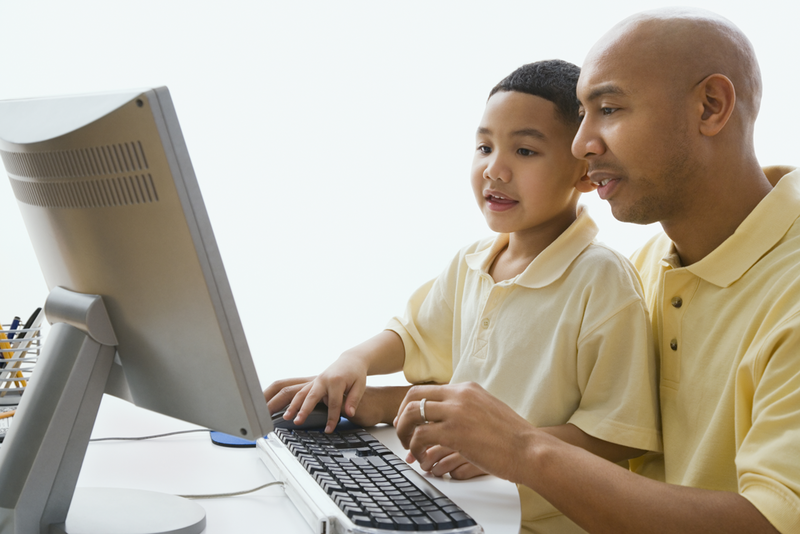 Parents can register a free account and have access resources for learning at home. NASA Science – Here’s everything your students will want to know about space and out of this world science. They also can follow the latest developments with NASA. Smithsonian Education - The central education website of the Smithsonian Institute, this includes all sorts of research information on culture, history, travel, science and nature. It features an IdeaLabs and homework help. Fact Monster - This is a free reference site for students, teachers, and parents. Students can get homework help and find facts on thousands of subjects. Wonderopolis – This touts itself as “a place where natural curiosity and imagination lead to exploration and discovery in learners of all ages.” Each day, they pose an intriguing question -the Wonder of the Day® - and explore it in a variety of ways. Brain Pop – Though this site has a subscription section, there are free portions that feature animated graphics about science, social studies, English, math, arts and music, health and technology. KidFriendlySearch – This site is a hub with links to kid friendly sites organized by subject area – with a high concentration in social studies. Kids Click - Students can find all sorts of information on this search site, designed for kids by librarians - with kid-friendly results. A Pew Research Survey found that while most teachers agreed that the Internet provides a wealth of information to students, they also said students often don't have the digital-literacy skills to wade through that information. That’s why teaching them how to explore the Internet for their research also should be a priority for them and their parents.